Tim Tookey, the finance director of Lloyds Banking Group, is resigning from Britain’s biggest high-street lender, after falling out with the bank’s new chief executive, António Horta-Osório. Friends Life, the UK life assurance company created by Clive Cowdery’s Resolution consolidation group, will announce on Monday that Mr Tookey is joining as chief financial officer. This according to FT.
Virgin Money is being tipped as a possible bidder for the 632 branches put up for sale by Lloyds Banking Group after receiving financial backing from a new group of investors, according to reports. Shares in NBNK, an investment vehicle bidding for a portfolio of Lloyds Banking Group’s branches, were suspended on Tuesday after the venture confirmed it was in talks to buy the UK assets of National Australia Bank. This according to Financial Times. Lloyds Banking Group PLC's shares leapt more than 7% Thursday after Chief Executive Antonio Horta-Osorio said the bank will cut costs sharply and invest in its four key U.K. units as part of a keenly awaited strategy revamp. Under the new strategy, Lloyds is to cut 15,000 jobs, make major investments in its Lloyds TSB, Halifax, Bank of Scotland banks and Scottish Widows insurance business, tap more wealthy customers in the U.K. and reduce its international presence to around 15 countries from 30. It started in 2008 when the UK Government, the European Commission and Lloyds Banking Group (LBG) agreed to a divestiture as one of the remedies to the distortion of competition caused by government support to LBG during the financial crisis. LBG committed to divest the TSB brand with a retail banking business of at least 600 branches located in England and Wales, and at least 4.6% of the UK personal current account (PCA) market and 19.2% of LBG’s retail mortgage assets. The group also made commitments on the average quality and profitability of the divestiture and its branches. It must demonstrate that it has approached potential buyers by 30 November 2011. The sale must be completed no later than 30 November 2013. The buyer of the divestiture may not have more than 14% of the PCA market in the UK after the purchase. Add the Independent Commission on Banking (ICB) set up by the Treasury wants Lloyds to be ordered to sell "assets and liabilities" in addition to those that the European Commission is already obliging Lloyds to sell, to reduce its substantial market share in personal banking. If implemented, this would force Lloyds to sell more branches on top of the 600 it is already auctioning. The chief executive of Lloyds, Antonio Horta-Orsorio - with the full backing of Lloyds' board - is implacably opposed to selling "even one extra branch" on top of the 600 branches Lloyds is already being forced to sell. Lloyds Banking Group announced last week the executive management team that will lead the divestment programme of retail and commercial assets (“Project Verde”). A valuation of £3bn is expected according to media. 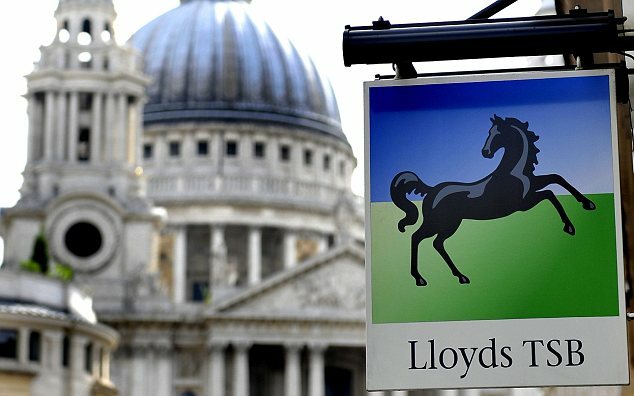 Lloyds Banking Group is cutting 570 jobs across the group as part of cost cutting measures which include the closure of its Cheltenham & Gloucester mortgage range for advisers. C&G for Intermediaries will no longer be accepting mortgage applications for both new and existing customers. "Lloyds Banking Group is today announcing 570 role reductions within its wholesale, retail, insurance, group operations and human resources divisions as part of the ongoing integration programme," it said in a statement. Clare Spottiswoode, the former gas regulator, said a break-up of Lloyds could potentially be on the cards if the ICB decided to call for a “reversing” of Lloyds’ takeover of HBOS in late 2008. Regulators are concerned that the retail banking market is controlled by too few players and Ms Spottiswoode took the opportunity to signal the ICB’s intentions as she chaired the body’s first public meeting at Leeds University Business School. Peter Moizer, dean of Leeds Business School and a former member of the Competition Commission, made clear that he had been dismayed by the decision in late 2008 to waive competition concerns to allow Lloyds TSB to acquire HBOS. The comments on Lloyds aside, the event failed to provide the controversy that some had predicted and Ms Spottiswoode said she was relieved that the first session of a five-city tour had gone so smoothly. The audience – comprised of business men and women and students – offered the commission the first chance to hear what those outside the City believe needs to be done to reform the banking industry.